Last Thursday night I went with a couple of friends to listen to Daniel Dennett – one of the ‘4 Horsemen’ of the New Atheism – deliver a lecture on a post-religious world. [The other three riders being Richard Dawkins, Sam Harris and Christopher Hitchens]. The big hotel ballroom was packed – maybe 400-500 there. 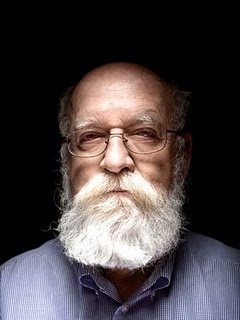 Dennett outlined his ‘end of religion’ thesis and his vision of a (better) world free of its restrictions, guilt, irrationality, hypocrisy, and xenophobic hatreds. You get the drift. He is an engaging speaker, and very good at Q&A which went on for most of an hour after the lecture. Yes praise. He even played a couple of secular gospel hymns, complete with lyrics like “Bowing to reason we stand together” and “We’ve turned the page, don’t be afraid of the world we’re creating, come on in …” [He said he played these in the States and the crowd was up singing and partying – not a person even twitched in Dublin. An atheist questioner afterwards pleaded with him to drop the ‘brutal’ music and try comedy as a route to joy]. Many criticisms have been made of the New Atheists the most brilliant and devastating by David Bentley Hart in his book Atheist Delusions: the Christian Revolution and its Fashionable Enemies. One is the sheer intellectual vapidity and meaninglessness of talking of an abstract generalised thing called ‘Religion’ as if there is such a thing. Dennett did this all night. You may as well imagine the world without politics or without culture. It is a nonsense that should earn a Leaving Cert student an F in a Religion exam and becomes an embarrassing conceit by smart people like Dennett who should know better. He also kept saying that Christianity was dualistic in its idea of the immortal soul. Again if you are criticising something you should at least be able accurately to describe its beliefs – especially if you are publishing and speaking on the subject and placing great importance on being taken seriously. Another is the pure assertion and naive hope that ‘somehow’ [and Dennett did use this word] profoundly moral values, like the ones above, embedded in long Christian tradition and theology, can and will continue to have depth, sustainability and coherence when stripped from their theological context. Dennett offered absolutely no reason why these particular values should be sought in a brave new atheist world. Nor why they would emerge instead of, for example, Nietzsche’s Superman and his ‘will to power’. When asked about his benign hopes for the future, he said he was an optimist. Fair enough, but it’s hardly the basis for a new secular world order, especially given atheism’s brutal and genocidal 20th Century legacy. Daniel Dennett, while proclaiming with utter certainty the end of all religion, is a very religious atheist indeed. As the evening wore on, it felt more and more like listening to a rather optimistic, naive, kind-hearted yet legalistic preacher in church. Moral Behaviour: the entire thrust of his talk was an exhortation to good and decent and moral behaviour. These are the sorts of values that should shape our behaviour and our world, let’s commit to and work for them. Mission: he talked of the need to build a missionary movement. Let’s take the secular good news out to the world and make it a better place. His closing words were ‘Let’s do it’. The good news bit was negative – the end of all religion. Worship: he wanted to inspire us with hymns and get us emotionally inspired, excited, joyful and happy. Community: Dennett offered the vision of democratic networks emerging of people working towards a common vision of improving the world. He even suggested that this new atheist movement might consider buying defunct churches in which to meet (he didn’t say what they would do there. Sing atheist songs?). Eschatological Hope: his whole lecture was built around a narrative of hope – a future vision of a better world (without religion) to inspire us to work passionately in the here and now to bring it about. Doctrine of Man: Dennett has great faith in humankind. He asserted (while also describing himself as an ‘objective engineer’ of the human consciousness) that ‘People just want to be good.’ Wow. This is simply a particular religious discourse wrapped up in secular garb. It is all about purpose, identity, meaning beyond ourselves, morality and ethics. At one point the impression of a genial avuncular uncle switched into bristling impatience with religious people who try to play the ‘faith card’ in public dialogue. To claps from the audience, Dennett exclaimed authoritatively that they have ‘no right’ to do so. However, the problem with this is that he (and other New Atheists) seems locked into a hubristic modernist mindset, totally oblivious of the reality that he is not mysteriously elevated above the fray in some neutral faith-free zone, uniquely able, because of a supposedly ‘objective’ and impartial and scientific approach, to judge and determine what is ‘truth’. Reading some postmodern philosophy wouldn’t go amiss here. The irony was that he played the ‘faith card’ all night. Continuing our simple Sunday reflections in the Gospel of Mark. This week chapter 12:41-42 and the widow’s offering in the Temple. This text stands in sharp contrast to the public and self-centered righteousness of the scribes in the previous verses. The setting is the Court of the Women within the Temple precincts. You can imagine Jesus sitting down and watching the crowds go by. Probably unintentionally, within his line of sight was the place where donations were being made to the Temple treasury. According to historical sources there were 13 trumpet-like receptacles for this purpose along the wall of the Court of the Women. Jesus, as he so often does, takes an opportunity from everyday life to develop a ‘teaching moment’ for his disciples. In this case it comes from his observation of the ease in which the wealthy throw in their substantial gifts compared to an unnoticed, umimportant and obviously poor widow who throws in two tiny coins (leptons) – about 1/400 of a Shekel. (Mark translates this to Roman coinage). It isn’t just that she could only afford a tiny amount of money, Jesus discerns the real significance of her actions – she could have kept one coin for herself but chose not to. She gave all she had. Jesus’ ‘truly’ or ‘Amen’ shows he really wants the disciples to get it. The widow is a model for them to emulate. Life in the kingdom of God involves total committment with nothing held back. Here is an important point on a life or death issue – that of religious freedom. The guy making it is Prof. Dr. Thomas Schirrmacher is Director of the International Institute for Religious Freedom of the World Evangelical Alliance. The statement is particularly responding to a move by Pakistan to make ‘Defamation of Religion’ a human rights violation within the UN Human Rights Council and UN General Assembly. Such a move would turn the very notion of religious freedom for individuals on its head. It was for supposed ‘blasphemy’ against the Prophet that a Roman Catholic Christan, Asia Bibi, was sentenced to death last November. Punjab Governor Salmaan Taseer, who spoke up on her behalf, was assassinated earlier this month. Any perceived insult against Islam or the Prophet Muhammad becomes a capital offence. (T)he New Testament report (Acts chapter 19) about the tumult in Ephesus shows that persecution and the violation of religious freedom are often heavily intertwined with other factors. The persecution in Ephesus was plotted by silversmiths whose profits from the Diana temple declined because of Christian preaching. Similarly … the writer of Acts describes very positively how the representatives of the state, in light of Roman law, could peacefully end the persecution. The state must protect Christians from persecution, not because they are Christians, but because it is the task of the state to maintain peace and justice for all, including Christians. Precisely because Christian churches have long recognized the monopoly of the state in the use of force, they neither want nor can defend themselves against violent criminals; they must rely on the protection of the state. In situations where this protection by the state is not provided, or if violence against Christians even comes from a state, others states need to raise their voices. The Pope and the EU Parliament have requested that she be freed. Individuals can act as well – here is one site which outlines a number of way through which you can act on her behalf – and, by doing do, on behalf of religious freedom in Pakistan. Here’s a wonderful and thought-provoking excerpt from Miroslav Volf’s reflections in Against the Tide: love in a time of petty dreams and persisting enmities. A good marriage is not a contract, but a covenant. Covenants are unconditional: we are obliged to keep them even if the partners break the terms. Contracts are temporary: we are bound by them only as long as it suits us (provided we pay the consequences of breaking them). 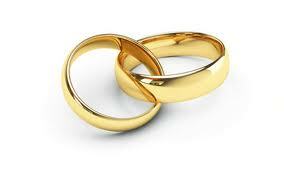 Covenants are durable: we are bound by the marriage covenant “until death do us part.” Contracts are governed by the pursuit of one’s interests. Covenants are governed by the demands of love. To give less than you expect to receive is selfishness, no matter how warm your heart feels in the other’s presence. To give as much as you receive is to be fair. But to love is to give more than you hope to receive. Is love a raw deal? From the point of view of contractual relations it is. But love has its own rewards. Remember that Jesus said it is more blessed to give than to receive. The return I get when I practice self-giving love is not more to me, but more to us – more to the beauty of our common love. After talking with someone who is more gracious and positive than I am – a follow up thought to yesterday’s post. I think I was unnecessarily negative and asked the wrong question at the end. Half-formed thoughts & blogging go together. It was a glass half empty approach. Blame it on being a Presbyterian. Maybe a better question is: if there is an increasing recognition of the need for radical reform accompanied by a deepening desire for people within the Irish Catholic Church to read, reflect and love the Scriptures for themselves and to find purpose and identity in encountering, loving and serving God – are there increasing possibilities for evangelicals and Catholics to work together around study of the Bible? (I’m not implying here that evangelicals have all the answers – but they are supposed to be the ‘Bible people’ to quote John Stott). Alpha courses appear to have ‘bridged the gap’ and are happening all over Ireland, run by all denominations and none. I sometimes hear stories of people coming together around a shared desire to study the Bible, often but not always in more ‘recognised mainline’ denominational settings. Do you see increasing future ‘convergence’ across denominational boundaries, and in different contexts, around a desire for a personal encounter with God through his Spirit-inspired Word? What do you think of these 4 statements? Being a Christian is not the result of an ethical choice or a lofty idea, but the encounter with … a person, Jesus Christ. A developed and mature Christian faith requires knowledge of the scriptures. We have to know the scriptures, to love the scriptures, to understand the scriptures, to prayerfully read the scriptures. All of us have to learn to take up the scriptures every day. It is in an encounter with the God who is totally other, but who became incarnate as one of us, that we are able to know ourselves more fully and find our true identity. Jesus focused; Bible focused; major emphasis on authentic personal faith. Written by some well known evangelical? If faith centres on a personal relationship with Jesus, this will have radical implications for the rule-bound approach of traditional Catholic catechesis. If a mature faith in Jesus requires knowledge of the Scriptures, this will have revolutionary consequences within Irish Catholicism where most families do not possess a Bible. If young people are going to develop in a personal authentic faith there will mean “revolutionising all our structures” including a fundamental reordering of the reliance on school-based religious instruction in Ireland to a rediscovery of the role of the local parish and of parents. This will need “a new group of lay people” to be voluntary catechists in their parishes. All this is needed because “we can no longer assume faith on the part of young people who have attended Catholic schools” or who come from Catholic families. Once again, it is Archbishop Martin who (virtually alone among the Irish hierarchy?) is articulating both the nature of the monumental challenges facing the Irish Catholic Church; seeing the need for truly revolutionary change; and arguing that such change can only begin with a spiritual encounter with the living God through his Word. But here’s a question, and I may get in trouble for putting it this way. I’d welcome comments, especially from those who grew up within Irish Catholicism. And at every step such assumptions worked against the 4 points at the start of this post. Personal faith was marginalised and actively discouraged, as was reading of the Bible. The system, in good modernist / Christendom style did it all for you. Everyone was ‘in’ from the get go, the rest of the Christian life became an optional extra. And now, as Irish Catholicism faces unprecedented decline and crisis those assumptions are rightly being questioned. 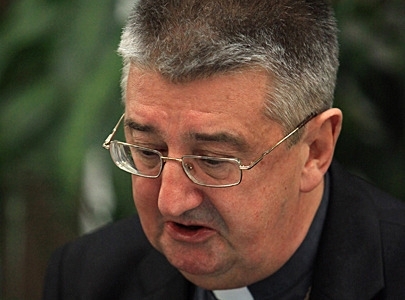 Archbishop Martin is right, revolutionary change is needed. I pray and hope great spiritual renewal does arrive out of the present brokeness. But at the same time I wonder if the very structure of Catholicism has an ‘inbuilt resistence’ to the very hopes that the Pope and Archbishop Martin give voice to. The theological framework that gave rise to those assumptions is all still in place and not going to change. I know this may sound like the arrogance of a non-Catholic evangelical, but there is plenty of discussion of the weaknesses of evangelicalism on this blog, so I hope not. But I guess my question is this: Is (Irish) Catholicism reformable? As Ireland gears up in 2011 for the first Civil Partnership ceremonies, here is a very good post and discussion from a civil and sharp blog that I’ve only just started reading – Daniel Kirk’s (of Fuller Seminary) Storied Theology. To my fellow Christians: when we try to make society after the image of the Bible as we read it, we become perpetrators of the injustice, impression, and baptizing of cultural status-quo that Jesus came to root out, free us from, and transform. The fight over legalized gay partnerships is but the latest in a long string of episodes where we have failed to bring to the “other” the freedom and justice we believe God wants for all people. I’ve just written an article on evangelicals and civil partnerships in Ireland and come down pretty much where Daniel Kirk is – that Christians are in a new post-Christendom context that requires much thought on what battles should be engaged in. And in this case, rather than ‘fighting’ to hold onto or impose our beliefs on others, it is the wisest (and most Christian) option to contribute to constructing a society that can embrace an inclusive form of genuine pluralism. It is ‘do unto others as you would have them do unto you’ sort of question. The law gives a framework for how we choose to live our lives in a plural and secular democracy, it is not to be confused with a tool to defend or ‘restore’ Christian morality to the nation. The comments in Kirk’s post capture the tensions and real questions – no-one is saying that it is an easy or obvious issue. I appreciate the real concerns of those who take a different view. One side is asking: Are we to expend most of our energy on defending the legal remnants of Christendom? Will such a defence in the courts even be possible anyway? When Christians do fight such battles, do they end up as the oppressors, too often justifying the (unjust) status quo? Others respond: Is it not Christian’s duty to be salt and light? Is gay marriage detrimental for society and should be resisted? Has not Christendom brought much good that should be preserved? Is Kirk’s view (and mine) a weak retreat from the public square in the face of aggressive tactics from an increasingly antagonistic secularist legislature? Have a read and make up your own mind – well worth it. This stuff ain’t going away any time soon.